M12BPS-412X: 1 x 12 Volt 4.0Ah Li-Ion Battery. M12BPS-0: Bare Unit, No Battery or Charger Supplied. Spindle Size: M9 x 0.75. Sound Power Level: 79.2 dB(A). Sound Pressure Level: 68.24 dB(A). Vibration Polishing Uncertainty: 1.83 m/s². 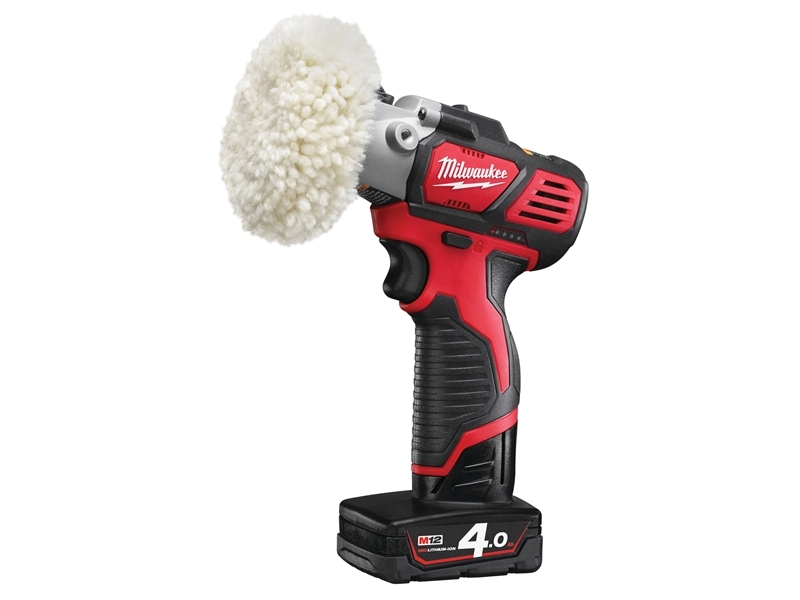 Milwaukee M12BPS-421X Cordless Polisher/Sander 12 Volt. Supplied in a Kitbox with 1 x 12 Volt 4.0Ah Li-Ion battery and a 40 minute charger.